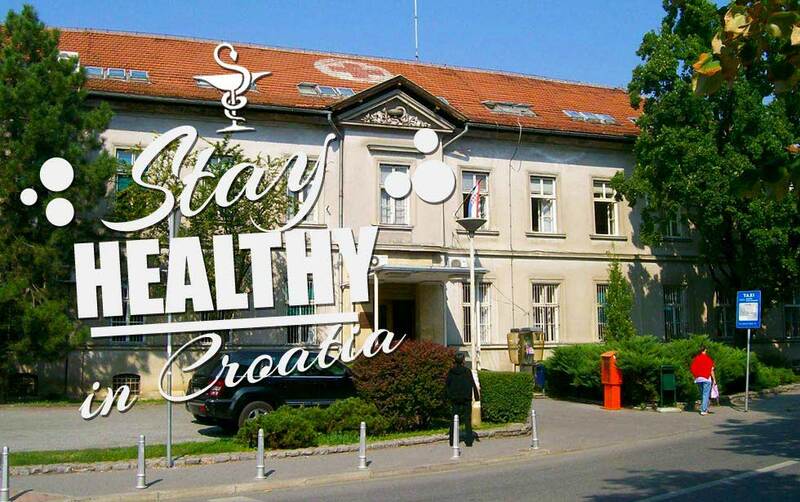 Croatia doesn't differ from any other central-European country regarding the possible health issues to country visitors. When talking about health risks, it is important to notice that the risk will vary between individuals, lenght of stay, activities etc. We strongly recommend that you visit your doctor 6-8 weeks prior to travel and consult on important travel health issues including safe food and water, accidents, sun exposure and insect bites. Bear on mind that many health issues that travellers may experience (food poisoning, accidents, heat strokes, etc) can be prevented by using common sense. If you are EU resident, use your European Health Insurance Card (EHIC). EHIC allows you to receive medical treatment in Croatia for free or at a reduced cost, if the treatment becomes necessary during your visit. EHIC covers the costs of medical treatment only with contracting health care providers, which is HZZO in Croatia. If you find yourself in need of medical assistance, ask if EHIC is going to cover the cost of the treatment when you arrive at doctor's, because not all ambulances are partnered with HZZO or you have just stumbled to a private practice. Family practices is your first stop if you have health issues. EHIC is usually valid there, but not all family practices are partnered with HZZO. Look for the big HZZO sticker on the front door. If you're not sure, ask a nurse or a doctor. Tourist ambulances are not partnered with HZZO, your EHIC will not work there. Tourist ambulances are common on the islands or outside urban areas. EHIC won't covering it all. It will cover urgent health care if necessary, even urgent health care of chronic or pre-existing diseases, but not if the goal of your trip is medical treatment. Any treatment provided is on the same terms as Croatian nationals. This means that you may have to bear the participation cost if there are any. EHIC is not travel insurance. Travel insurance will cover most of the costs if anything happens to you, so having one along your EHIC is a must. If you already have an EHIC, make sure it hasn't expired. Citizens of Switzerland, Norway, Iceland and Liechtenstein are not covered with EHIC and should have travel insurance before travelling to Croatia. Croatia doesn't have special agreements with other world countries, so you should purchase travel insurance before taking a trip to Croatia. Hospitals in Croatia are well equipped and medical teams are well trained and have an obligation to constantly improve their medical knowledge. Being a dialysis patient means that you’ll need to make plans to receive treatment while you are away. Not to worry, all hospitals or health centres in larger cities have dialysis ward or centre. Contact your nurse to prepare yourself for the trip and take a look which dialysis centre is closest to your destination on the map of dialysis centres in Croatia. It can be fun to take a day trip to a nearby city with a dialysis centre - don't miss on our city guides! Emergency ambulances are usually located in small places, villages or smaller cities. Bear on mind that tourist ambulances are not partnered with HZZO, so your EHIC will not work there. Tourist ambulances are common on the islands or outside urban areas. During the day, it won't be a problem to find a pharmacy. They are widespread in most cities and places and clearly marked by a green cross. General rule is that there should be one pharmacy on 3000 people (in practice 2000 people), so most places have them. Pharmacist could initially help you a lot on minor problems (sun burns, migraines, summer fever...) and save you from a visit to the doctor's if you describe your problem. There always a pharmacy open for 24 hours in cities. Sometimes you might find yourself in a confusing situation, because the law doesn't clearly define which drugs are available only on prescription or in free-market. If you have a prescription from your doctor, take it with you and if the medicine is included in the list of those covered by state health insurance, you can pick it up. You may have to bear the participation costs if there are any. No vaccinations are required to enter Croatia. Worst thing that can happen to you is to get hepatitis A through contaminated food or water (2-7% distribution chance zone). Take usual measures of prevention (hygiene and sanitation), wash your hands thoroughly, drink boiled or bottled water if not sure in the quality of tap or well water, eat well cooked foods, peel your own fruits and vegetables and you should be fine. The virus is present worldwide, which includes Croatia, but local sanitary conditions dictate on the presence level. Vaccination is recommended if you are going adventure trips where hygiene can't be maintained on required standards. The good thing is that TWINRIX is combined vaccine against Hepatitis A and B.
Rabies is a possibility if you are going camping, hiking or taking any form of adventure travelling. Make notice that all dogs and cats owners are obligated by law to get their pets annual rabies vaccine. Number of stray cats and stray dogs are actively contained on minimum in most cities, while some have none. Avoid contact with feral animals and be careful not to make sudden moves or surprise them. If you've been bitten, wash the wounds with soap and water and immediately seek medical attention. All travellers whose main of vacation is going to involve hiking, camping, or outdoor activities in rural regions should take measures to prevent tick bites. That includes applying a repellent to exposed skin and spray clothing and gear. Vaccination is recommended for travellers involved in activities in forested areas. Risk season is from March to November and present north and east of Zagreb, to the borders with Slovenia and Hungary. During the spring there are increased allergens. Two common allergens in Croatia are pine pollen and common ragweed pollen. HIV and AIDS are rare in Croatia - there are around 70 cases of HIV in whole Croatia and around 20 cases of AIDS. STDs are a serious problem all over Croatia. Target groups are young people age 20-25 who rarely treat STD. If you are planning on having sexual contact, buy and use condoms. Latex in condoms will protect you from most bacterial and viral infections. Undercooked chicken is a NO! Tap water is perfectly safe to drink in whole Croatia. In rural area you may encounter people using well water for drink. If you are not sure if water in the well is OK to drink, ask a local. Stock on drinking water, just in case. Did you find information on health in Croatia useful? Do you think that some information is still missing? Please share your thoughts in the comments bellow.